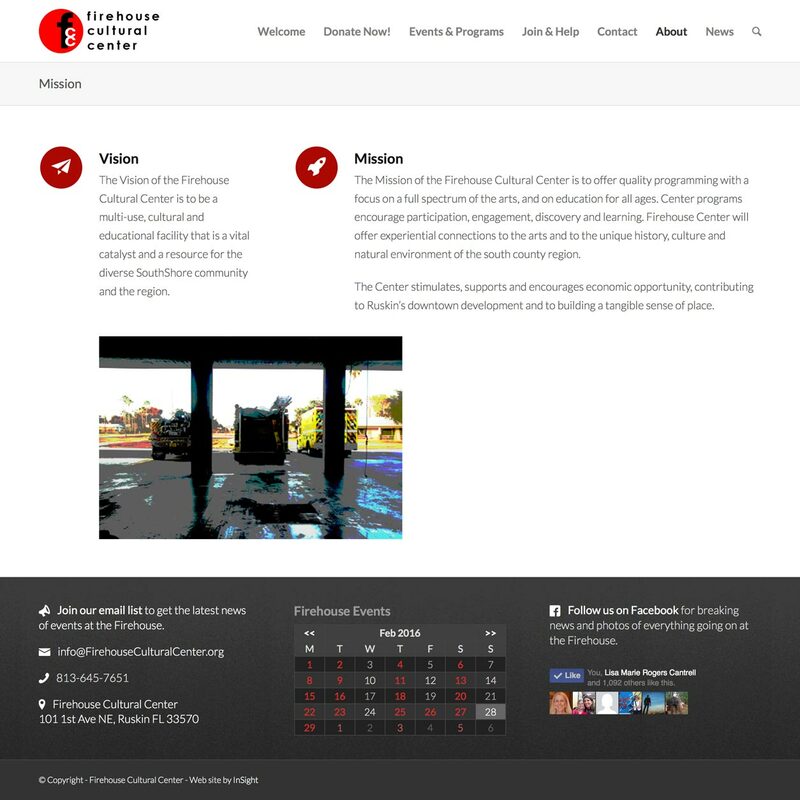 The animated header expresses the vision & mission of this Cultural Center, and quickly shows the range of events & programs in an engaging way. 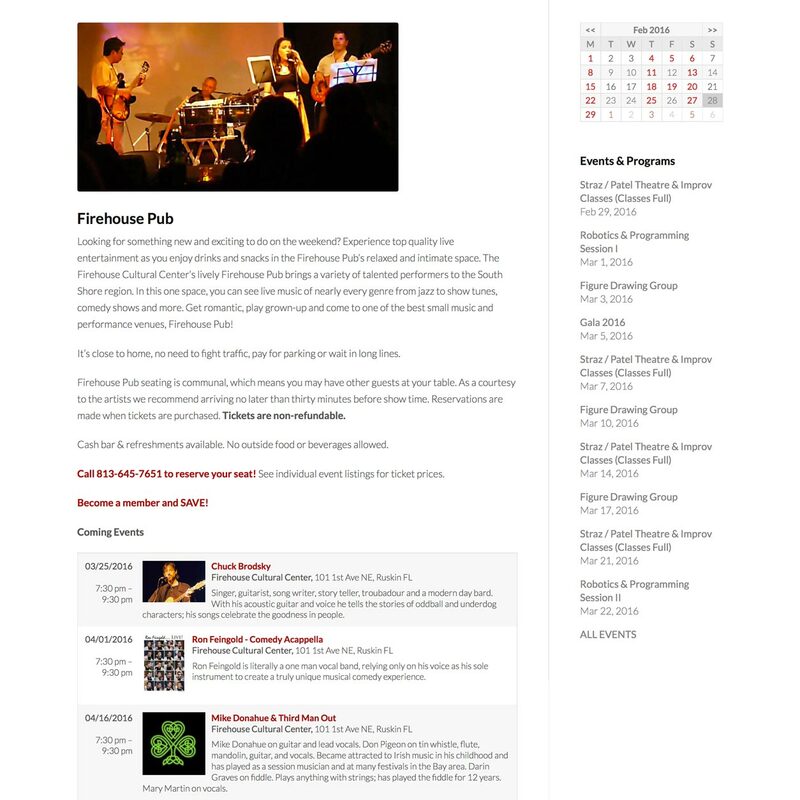 Calendars with clickable dates to see events on any date. 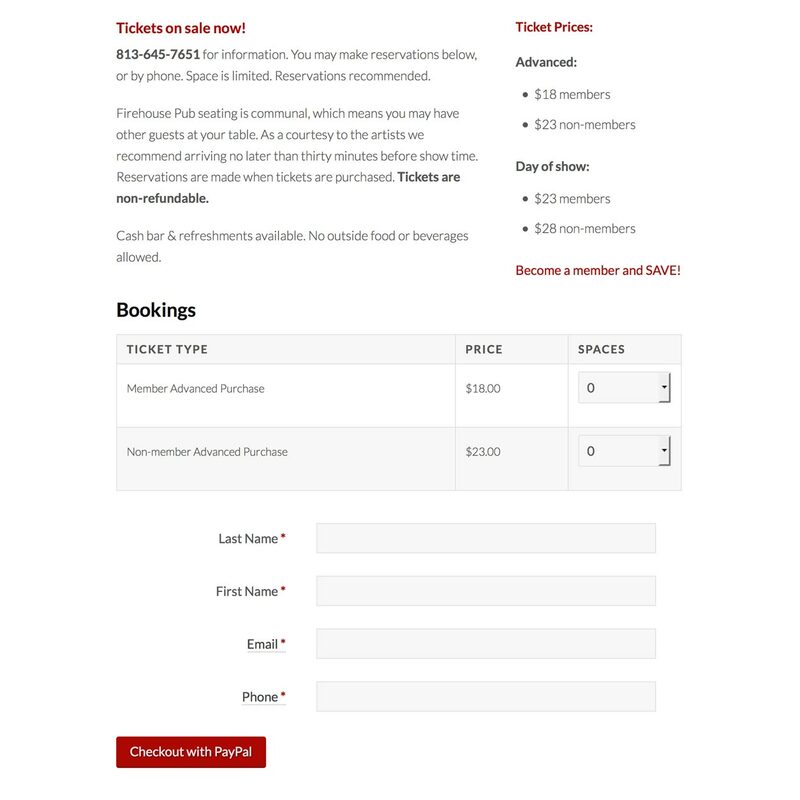 Events listings, sorted into categories, with each item linked to more info and ticketing. 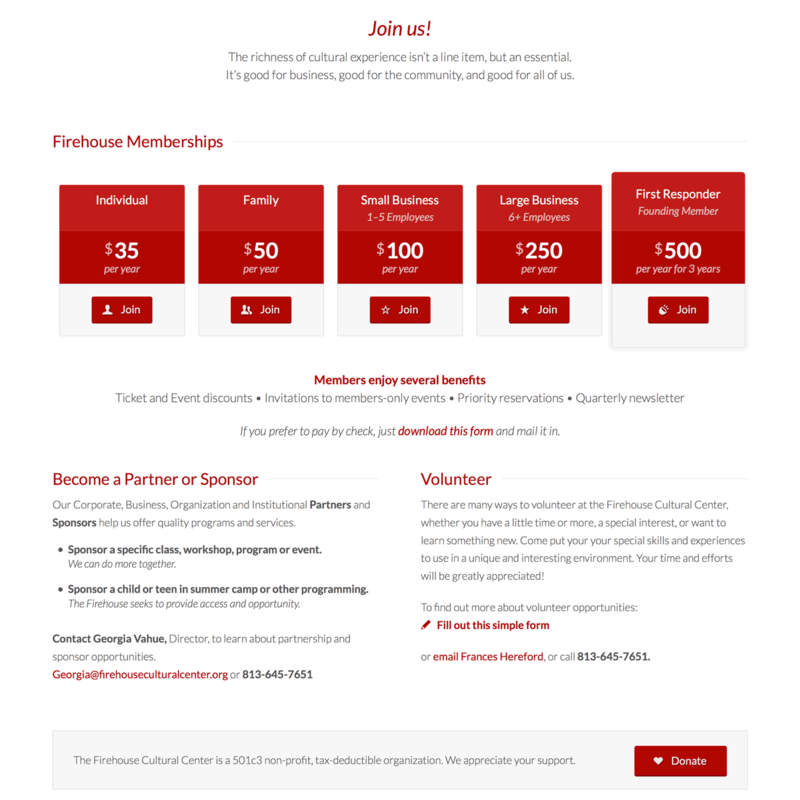 Online booking with tiered pricing for members, non-members, advanced purchase, etc. Several forms email user input to the site-admins and save that input to sortable databases & downloadable spreadsheets, for future use. 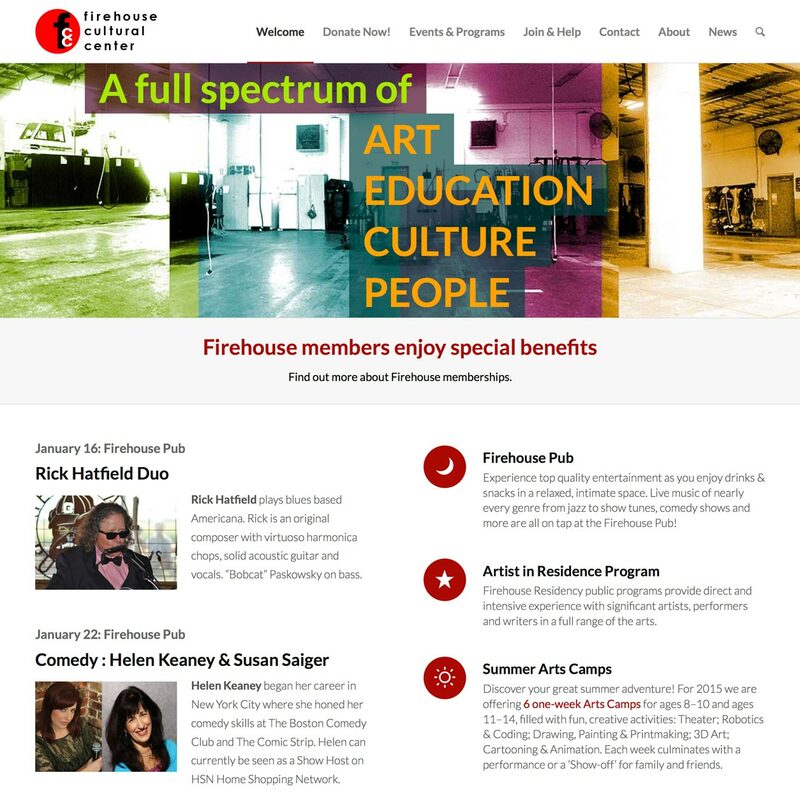 The customized WordPress Content Management System allows staff to easily update events & news, and manage ticketing and user-input from the back-end dashboard. This site is responsive, so it adapts to fit monitors of any size, from desktops and laptops to tablets and smart phones.